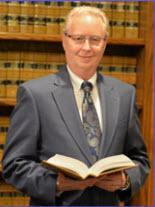 Mr. Garner, while a skilled trial attorney, is also a mediator. In many cases, he works with insurance companies to reach settlements that will allow our clients to have the compensation they need, when they need it. Regardless of the source of your injury, disability or loss, you can turn to our law firm, Murphy & Garner, LLC, for assistance as you pursue compensation or benefits. By choosing our law firm, you are choosing to have an experienced and dedicated legal professional at your side throughout the process. By scheduling a free initial consultation at our law office in Bremen, you can learn more about how we can help you.